Until now this blog has been very much fashion focussed, but from hereon in you can expect to see a lot more beauty featuring, as, like a lot of women aged 12 – 112, I’m a bit of a product junkie. 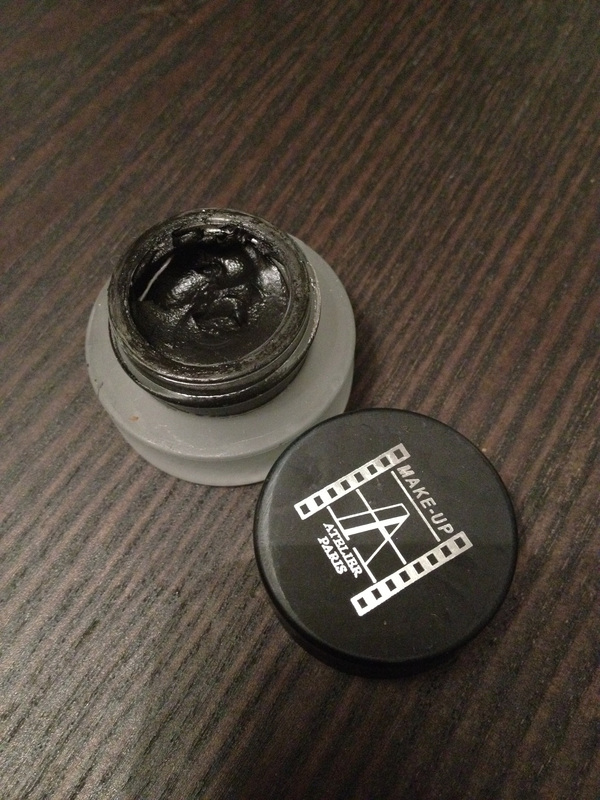 I was recently sent some make-up to review from Make-Up Atelier Paris (available here). I hadn’t heard of the brand before, but they’ve actually been on the scene for quite a while. They market themselves as a brand for make-up professionals, with a focus on long lasting, multi-ethnic products, with a mind-boggling 50 shades of foundation available, and unlike a lot of brands, manage their own lab and manafacturing facility. This ensures the the products are unique, innnovative and, crucially for me, cruelty free. I really liked the shade; a light dusting was subtle enough for daytime, but you could up the ante and use more for night-time drama. I wore it out for lunch with the girls and found the staying power pretty good; no top ups needed and my lids stayed shimmery. I’ve been using Lancôme Hypnose for a while now, and I’ve been pretty happy with the results, though it does tend to clump if I use more than one coat. I didn’t expect this product to change my allegiance, but I’ve been really pleased with it and will definitely be buying this when I run out. 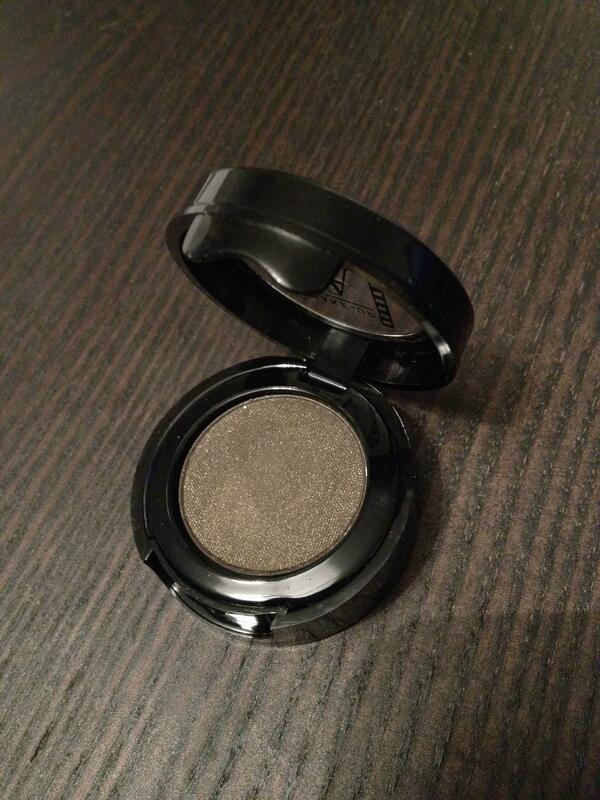 It goes on smoothly, doesn’t clump and defines my lashes nicely. It also survived the blub test when I failed my driving test (for the fifth time, FFS). 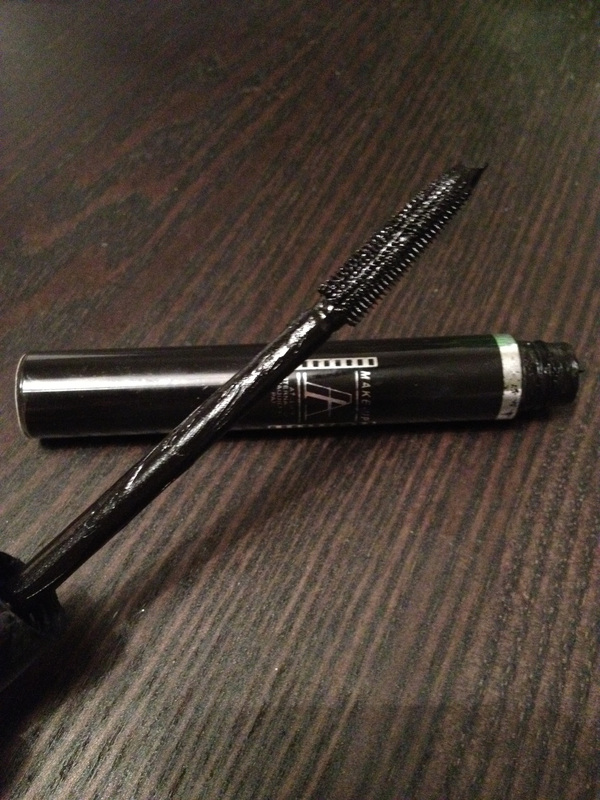 For reference, it is nigh-on-impossible to take an interesting photo of a mascara, but I want to show the nice silicone-y brush. You do need make-up remover to take it off (a baby wipe won’t cut it, but what do we expect from a waterproof mascara!?) I also think the price is pretty good, at £12 it is hovering around the high-end high street mark and a good bit cheaper than Lancôme. Converted! Now, I have to confess my ignorance as far as gel eyeliners are concerned. I am a confirmed cack-handed cretin, so I’ve stuck firmly to a nice, safe kohl pencil for my eyeliner needs (if you bodge it you can rub it a bit and call it a ‘smoky eye’), so I have no frame of reference for this one. However, I’m impressed. I’ve been wearing it daily, along with the mascara and I’ve really liked the addition of a bit of drama to my eye area. The liner gives a lovely sharp line (if applied properly! ), doesn’t bleed and has incredible staying power. How do I know? Well, let’s just say that a few beverages were consumed, and the only part of my appearance that looked as good the next morning as it did the night before was my lash line. Well, obviously I loved the name of this one. Again, I have not historically been a great wearer of blusher. The Wednesday Addams look is more my thing, but I’m game for anything, so I thought I’d give this a crack. And guess what? I really like it. 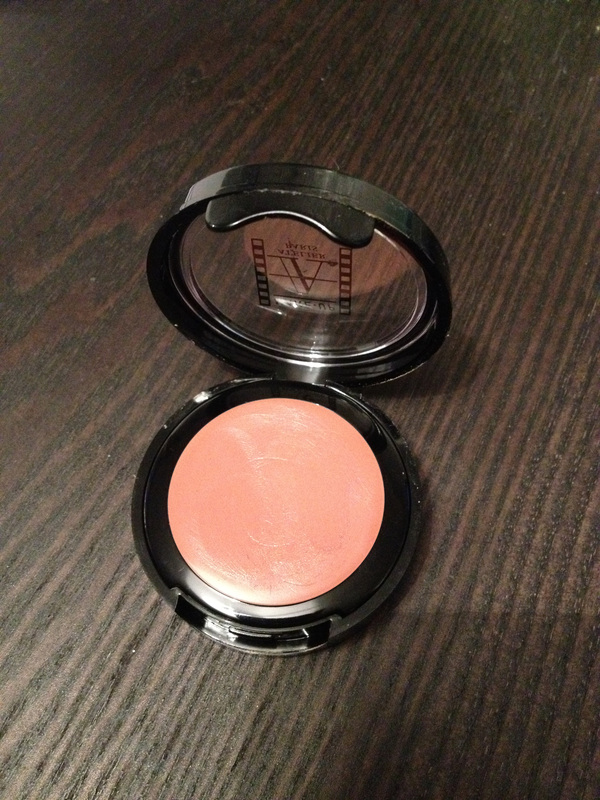 This blush is very subtle, really just a hint of a tint, which is the dream for me, because without fail I usually apply the stuff and look like I’ve got slapped cheek disease. Again it can be layered for a more flushed look, but I’ve just been rubbing a swirl onto the apples of my cheeks, and loving the healthy, three dimensional look it gives me. Wednesday, begone! So, to sum up, I’m so impressed with this brand. I can see why a lot of make-up artists use it; the durability of the products is absolutely phenomenal, and from what I can see the range of shades it extremely broad. I’ve now put the gel liner in bright blue on my shopping list, and I’m in the market for a new primer, so I’m going to give this a whirl, and I’m also loving the look of the highlighter. I will, of course, report back! I’ve been using their foundation for about a year now and it has been really good. Now looking for a waterproof mascara and eye-liner as last time I danced on a hot day, my make-up ran down my face and I looked like the sad clown afterwards! No wonder all the kids were looking at me weirdly. Thanks for the review.